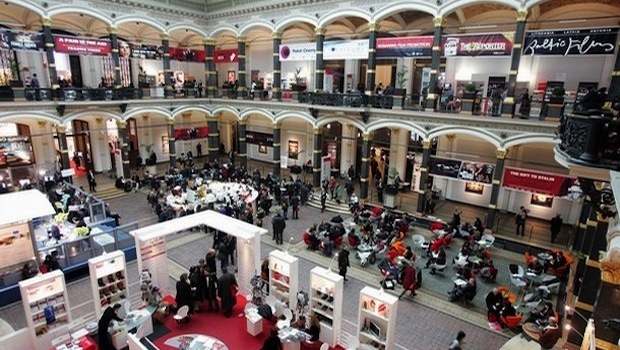 There are Film Festivals and there are Film Markets. Festivals and Markets have absolutely nothing in common and you must know the difference. First, Film Festivals are about “Fluff & Awards”, with an underlining fairy tail hope that you will either be Discovered or secure a Distributor. Film Festivals are social functions, parties, community happenings with screenings, cocktails, rah-rah speeches and awards… They’re part of the art world. Whereas, Film Markets are blatantly all about Business-Business-Business…. Money, Pre-Selling, Financing, Profiting & More Money. 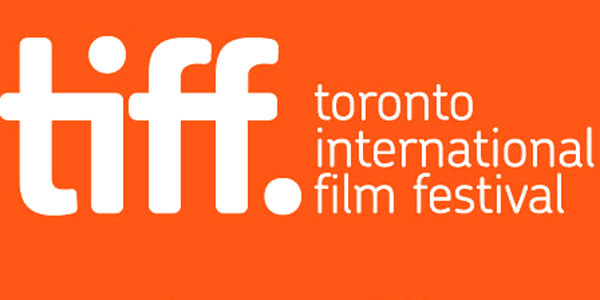 Back to Film Festivals: 30-35 years ago (1980-1985) I don’t think you could name more than 10 Film Festivals in the entire world…. I’m sure there was something in New York, London & Los Angeles… Tokyo, “maybe”. Pusan, “don’t think so”. Oslo, “Nah”. How about Jerusalem, Singapore, Capetown, Salt Lake City, Memphis, Charleston, Hyderabad, Shanghai, Brisbane, Calgary, Halifax, Santiago, Caracas, ???? 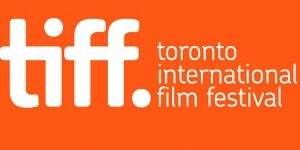 Today there are 2,000-3,000 Film Festivals, and some reports have the numbers at 3,000-5,000….they’re everywhere. However, there are only 15-20 (A-List Festivals) that have true merit. Film Markets, however, which are not Film Festivals, have only 3-5 in the world, and in a moment I will explain the difference. Permit me to explain the difference. FIRST: The 2,000-3,000 Film Festivals are about “Fluff & Awards”, they’re social events (everyone likes culture) and for the filmmaker they’re much more about hoping-to-be-discovered. QUESTION: What’s an Acquisition Executive? ANSWER: Every Distribution Company in America, if not the world, is busy making, marketing & distributing their own films that they finance. And, they also know that there are filmmakers, independent filmmakers, who actually spend their own money (friends, relatives, crowds, etc.) to make movies… They are, as the phrase states, Independent-of-the-Film-Industry. But they now want to lose-their-independence & secure a distributor. Distributors love independent filmmakers for they make movies with their own money, they make them usually with no guilds or unions attached cost-effectively and far cheaper than if the distributor made it themselves. And most of all distributors know that when an independent filmmaker has made their they have spent their money 100% and are… now broke and begging. Thus, every distributor has an employee titled “Acquisition Executive” whose job it is to go from film festival to film festival looking for independent films that for-whatever-reason the audience loves, from filmmakers that are now broke and begging…and basically “BUY IT”. Obviously this is going to become and excellent deal for the distributors. Now, you know why distributors are always saying “We love independents”. IMPORTANT POINT: Acquisition Executives are merely people who know that there are 2,000-3,000 Film Festivals every year with only 52 weeks in the year. Thus, as a human being with limited time, how many Film Festivals do you think he/she attends? The answer is maybe, at the most, 15-20. 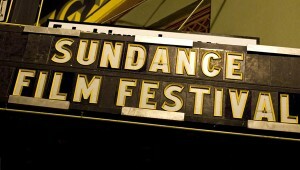 And, it is these 15-20 Film Festivals (Sundance, Toronto, Berlin, Tribeca, Venice, AFI, etc.) that are called the A-List Festivals… Again, they are the A-List Festivals because Acquisition Executives from Miramax, Summit, Sony Classics, Lionsgate, Bleecker, Roadside, A24, etc. are there. And, if the Acquisition Executives are there, and your film screens there, you have a chance of achieving what you desire and being either (A) discovered or (B) securing distribution. Now, how about Film Markets, which this blog post is about. Then, within the next 15 minutes, in the lobby of the theater where your film has just screened, you have 5-7 of the 12-15 Acquisition Executives wanting to buy your film or at least make a deal to distribute your film… you will obtain a distributor and the deal will be made for North American Rights, with possibly all revenue streams, for a set period of time. What is left, for additional profit, is all Foreign Rights. Your Independent Film, now with North American Distribution, has just become an American Movie and you own 100% of all Foreign Rights. And, to cash in on Foreign Rights you will attend, not a Film Festival, a Film Market. 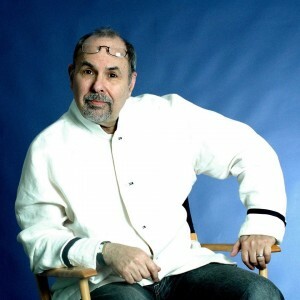 Film Markets (American Film Market, Cannes de Marche, European Film Market, Hong Kong FilMART, etc) are blatantly about Business….The Business of Buying Films after they’ve been made & the Business of Financing Films before they’ve been made. But, first, what is a Film Market and are you a “Buyer” or a “Seller”? 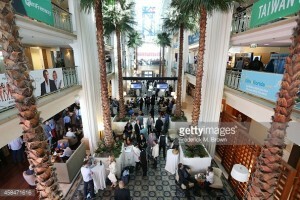 Film Markets, as the word says is a “market” with, as stated, “buyers” and “sellers” and each of the “Big 3” (Cannes, AFM & EFM) have at least 200-300 SELLERS and 2,000-3,000 BUYERS. Now, what are you, when you’ve made a feature film and are trying to sell it? Duh! You are a SELLER. And, what are you when you have a script and are trying to secure financing? Duh! You are a PRE-SELLER. And at each market there are at least 50-70 sellers, companies larger than you but not as larger as a Hollywood Studio, which are (1) independent North American distributors (Samuel Goldwyn, ThinkFilm, Strand Releasing, Roadside Attractions, Summit, Participant, etc.) who have maintained foreign rights to a film, plus (2) another 25-30 the cable networks (HBO, Showtime, A&E, SciFi Channel, etc) with movies for sale to foreign nations and (3) a plethora of 100-150 non-American foreign distributors, from Germany, Japan, Korea, England, etc., trying to sell their movies to each other or to America (4) along with 15-20 small, first-timers, like you, who have a feature film and want to sell it to Germany, Japan, Korea, Australia, India, Israel, etc. or merely just have an idea, with a script & a poster and are trying to Pre-Sell it. To join any of the 3 Film Markets you just (A) Phone or E-mail, (B) write a check $7K-$25K, (C) get a Booth (Film Markets are just Trade Shows with floor space to rent) or at AFM or EFM, which takes place at hotels, you rent a Hotel Room, (D) get a badge that states you’re a SELLER and (E) stand in front of your hotel room with TV set and DVD and Posters of your film and peruse everyone walking by your booth or room whilst looking for a badge, with a different color, that states (1) They’re a BUYER, (2) their name and (3) what Nation they represent. Then one-by-one (Russia, China, Japan, Korea, etc.) you bring the Foreign Buyer into your Room or Booth, show them a 1-2 minute demo/trailer of your movie along with the Poster which states “who’s in it” and then haggle-haggle-haggle and negotiate a SALE to that DISTRIBUTOR from that NATION. Now, let’s think PRE-SELLING: If a company from Peru or Brazil or Israel or Germany would buy (aka: license) your film for $50K-$80K after it was made…there might be a chance of PRE-SELLING (assuming they trust you) at a discounted price of 40%-50% of the guesstimated price they’d buy it after it was made. Now just using your Poster, Script and possibly a trailer/teaser, you do 20-25 of these 35 possible nation and territory Pre-Sells, at 40%-50% discount, at prices of $10K-$40K, and then bring these Pre-sell contracts back to America and a bank like Bank of America, or Wells Fargo or Comerica and use them as collateral to get a loan for 9-12 months to make your movie. You make you movie, deliver it to these 20-25 Pre-Sell nations and are left with profit from the remaining 10-15 nations oyu haven’t Pre-Sold to and back in North America you can get additional profits/revenues from DVD, Cable, TV, Merchandising, etc. The point of this post is to let you know that FILM FESTIVALS and FILM MARKETS have nothing in common. 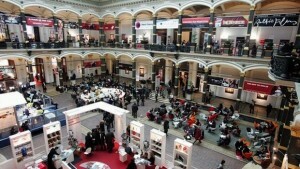 And, if you desire to PRE-SELL, raise money to fund your film from foreign sales at discounted prices, then you go to a FILM MARKET (Cannes, AFM or EFM) and if you have actually financed and made your film and want to make additional money from Foreign Sales you also attend a FILM MARKET, secure a booth, and become a Seller. Attending means (A) Joining, (B) Renting a Room, (C) Creating Marketing with Posters & Press Kits and Sell-Sell-Sell. Enough on theory… I know you want to know “OK. What does this cost” or “Please. Give me the numbers”. This results in foreign sales and pre-sells are growing and growing. This equates to an expansion in Film Markets (remember Film Markets are not Film Festivals) to now include 5 more which are…. Want to Produce, Write or Direct… even Act? Want a program that gives only facts… not theory. Wow, this is so expensive. $17k? I’m in South Africa and with the current exchange rate it’s really astronomical. Hi, great post! What would you say are the 15-20 A-list festivals around today? Thanks!